Dear Friends, welcome to our website! We are located in the sunny California, about 30 miles south of Los Angeles and work with customers worldwide. Our work is driven by one main idea: we think about our customers as our partners. The goal of this partnership is mutual prosperity. It’s a pleasure for us to provide convenient tools that give you clear vision of your business. They are both easy and enjoyable to use in your daily routine. Our work impacts all aspects of your business - either through a shipping invoice that you generate, a commission report that you run or a company dashboard that you look at each morning. The best Collaborative BI solution on the market. Need Dashboards? Full Permissions and Security? In-Depth Data Exploration? Yellowfin BI does all this and much more. Need a Shipping Invoice? A Sales Report? Want to Plan your production and print shipping labels? Look at your Fishbowl data the way you want to - without the limitations that come with built-in reports! 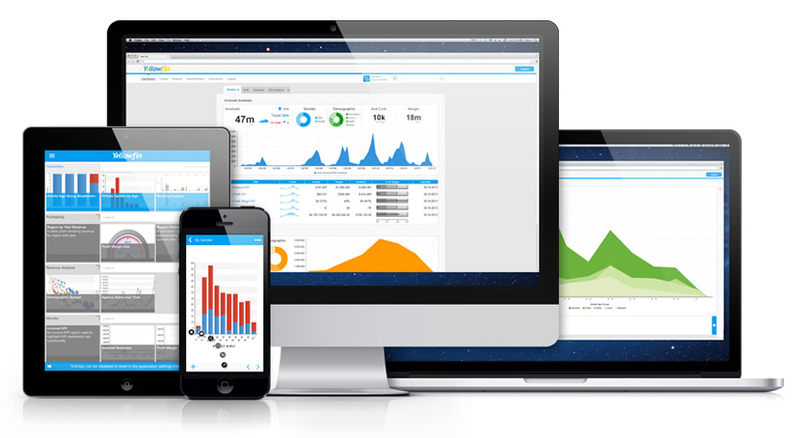 Dashboards are the easiest way to monitor the health of your business. Help your warehouse see what orders need to ship next! Give your executive team the snapshots of the business! Motivate your Sales People with Performance KPI's! VA Partners are passionate about driving the customer success through business intelligence.Taking creative approach to both issues and goals of our clients, we come up with solutions where many others give up or fail.The result of our work is used every day in making decisions, increasing sales, simplifying operations, and improving cash flow. We take a long-term view of relationship with our customers. One of the best parts of our job is seeing the positive transformations of businesses in present and achievement of their future goals. Analyze your data today to ensure success tomorrow!